The Meyer Society was enacted in honor of the late Fred Meyer. As a founding trustee of The Cooper Institute, Fred was a guiding hand for many years before stepping into the role of Chief Executive Officer in 2007, a position he held until shortly before his passing in 2012. The way Fred lived his life, with a commitment to healthy living and stewardship, is one to be celebrated and inspires the important work done at The Institute every day. In his unwavering dedication to The Institute, Fred left a bequest of $1 million to lay the foundation and inspire others to help build a sustaining legacy to ensure the critically important work of The Institute continues into perpetuity. 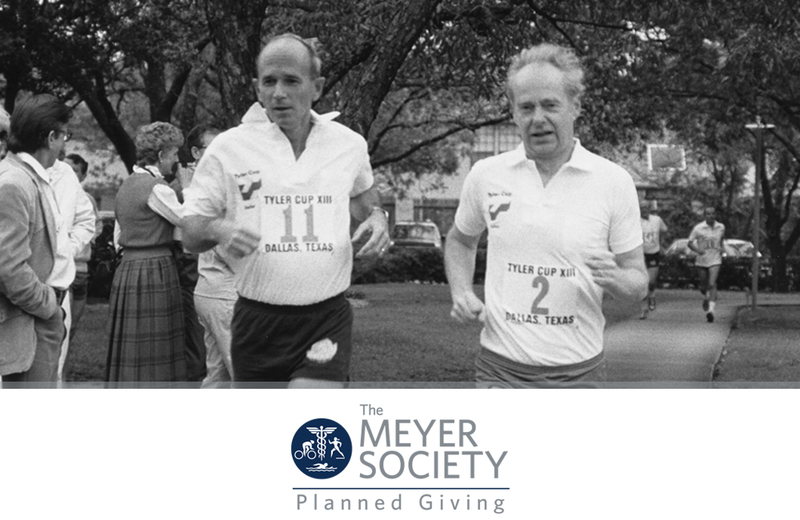 Out of Fred's generosity, along with the support of his daughter Amy Meyer Barrentine, The Meyer Society was launched. The Fred Meyer Planned Giving Society provides an opportunity to support the continuation of our research through planned charitable giving, which expands The Cooper Institute’s endowment and long-term funding strategy.